Are you unsure about whether spring is a good moment to travel to Poland? Take a look at 3 reasons why Poland is worth visiting during this season. Firstly, the weather. The temperatures are much more pleasant than in winter, they oscillate between 5 and 15 degrees. Thanks to these mild temperatures you will not be as tired as in the hot summer. Secondly, the nature. 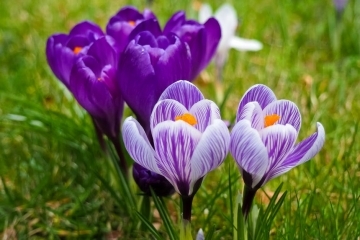 You will be surprised by the quantity of flowers which appear immediately after the snow has disappeared. It is a perfect moment to go on a trip outside the city. Thirdly, the tranquility. You will be able to enjoy the most popular tourist attractions avoiding the summer crowds. These are only three of many reasons which we could find. One thing is certain, you don´t have to wait until summer to visit Poland.